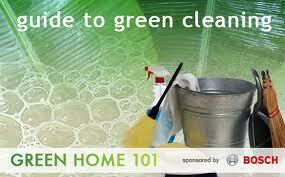 Pull out all cleaning supplies, laundry supplies, soaps (both dish and body), and air fresheners. If the label reads “WARNING, DANGER or POISON” it is not safe to keep. Item you can’t remember using and things that look caked on, rusted over, or petrified beyond recognition. Return as many products as possible for your money back. If millions of us do this, the message will be loud and clear: Stop making it because we are not going to buy it! 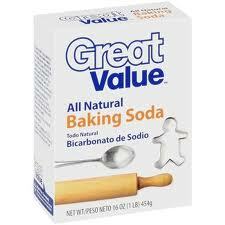 Baking Soda is great to scrub your bath and kitchen. Put it in a glass grated cheese container with a stainless steel top that has holes in it, and just sprinkle the baking soda on the surfaces and scrub. You may add a few drops of your favorite essential oil to this. Lavender and tea tree oil have anti-bacterial qualities. Baking soda mixed with apple cider vinegar is a bubbly combination that has many uses. As a drain cleaner, sprinkle baking soda down the drain then add apple cider vinegar and let it bubble for 15 minutes, then rinse with hot water. Baking soda and apple cider make a wonderful spa-like bath for soaking away aches and pains and detoxing. It also cleans the tub and the drain. Baking soda is used as a fabric softener in the laundry. To polish silver, fill the kitchen sink with hot water, add a sheet of aluminum foil and baking soda, and let the silver pieces soak until clean. Vinegar can clean almost anything in your house; you can add liquid castile soap, essential oil (optional), and filtered water, then clean floors, windows, bath, kitchen, etc. Vinegar can also be used as a fabric softener. In the laundry, use vinegar in the wash cycle to prevent fabrics from fading. Commercial window cleaners contain butyl cellosolve — a toxic ingredient that is not listed on the labels, so vinegar and water is much safer. Use a micro fabric cloth, not newspaper, which contains toxic dyes. Borax is a good laundry booster and cleaner (it can even remove mold) — and is safe and non-toxic. Hydrogen peroxide is a disinfectant, and is safer to use than chlorine bleach for disinfecting and whitening. Lemon juice is also a natural whitener. Liquid Castile Soaps can be found in health food stores and are safer than commercial liquid cleaning products. Organic essential oils may be used in homemade cleaning products depending on your personal preference and tolerance to these scents. Never use synthetic fragrances or air cleaners. Commercial fabric refreshers also contain dangerous chemicals, therefore, use vodka in a spray bottle to freshen up chairs and upholstery. The vodka is cheaper, non-toxic and the alcohol evaporates, and is not harmful. The alcohol in hand sanitizers is harmful, however, and should not be used on children since the alcohol absorbs into your body via your skin. Therefore, use only hand sanitizers that are plant based from the health food store, or just good old soap and water. Making your own natural cleaning products is rewarding and fun, and you can use the natural scents that you prefer while ensuring that your home is safe from dangerous chemicals that are harmful to your, and your family’s, health. For a great video on how to use these ingredients and other tips for cleaning your home without hazardous chemicals, please review the article: How to Keep Your Home Clean Naturally. For example, vinegar combined with hydrogen peroxide works exceptionally well as both a disinfectant and sanitizer. Use as a safe non-scratch scrub — for metals and porcelain. To clean your oven — simply sprinkle a cup or more of baking soda over the bottom of the oven, then cover the baking soda with enough water to make a thick paste. Let the mixture set overnight. The next morning the grease will be easy to wipe up because the grime will have loosened. When you have cleaned up the worst of the mess, dab a bit of liquid detergent or soap on a sponge, and wash the remaining residue from the oven. To unclog a drain — pour 1/2 – 1 cup of baking soda down the drain, then slowly pour 1/2 – 1 cup of vinegar in after it. Cover the drain and let it sit for 15 minutes. If it bubbles like a volcano, it means it’s working as planned. Flush with a gallon of boiling water. Deodorize dry carpets — by sprinkling liberally with baking soda. Wait at least 15 minutes, then vacuum. To rid your garbage disposal of foul smells — add vinegar to water for ice cubes, then let a few of them get chopped by your disposal. To clean your silver — boil 2-3 inches of water in a shallow pan with 1 teaspoon of salt, 1 teaspoon of baking soda, and a sheet of aluminum foil. Totally submerge silver and boil for 2-3 minutes more. Remove silver from the pan and wipe away the tarnish with a clean cotton cloth. 3% Hydrogen Peroxide in a spray bottle, and organic white vinegar (made from distilled corn) or organic apple cider vinegar in a different spray bottle. Spray one product, then the other (doesn’t matter which goes first). Great as a disinfectant and for cleaning herbicides off fruits and vegetables. For a great video on how to use these ingredients and other tips for cleaning your home without hazardous chemicals, please review the article How to Keep Your Home Clean Naturally. Finally, if you’re still using air fresheners because you like a scented environment, I urge you to switch to safer alternatives like therapeutic essential oils. Remember, essential oils are NOT the same thing as fragrance oils. Fragrance oils are artificially created and often contain synthetic chemicals — so make sure the essential oil you use is of the highest quality and 100 percent pure. A few drops placed in a diffuser around your home, or mixed with water and sprayed onto upholstery or fabrics, is a safe and soothing way to scent your home naturally. Genuine Green Products are Out There! Dr. Bronner has long made a natural castile soap free of toxic chemicals. This is just one of many truly “green” products available to consumers who are discerning and want to avoid the glycol ethers and phthalates found in most cleaning and laundry products. These are two companies that offer a large line of green organic products. While we are still free to choose, choose to use products that are safe for us, the other living creatures that share our world, and the environment. Get ALL the people you know to do the same. Together we CAN make a difference!